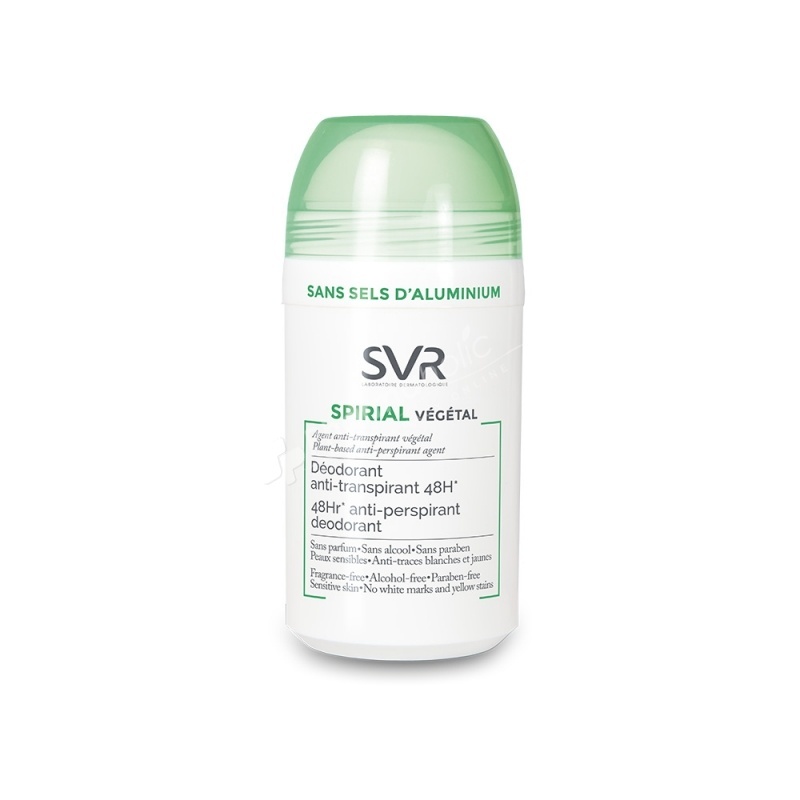 SVR Spirial Natural Deodorant Anti-Perspirant Roll-on was specially created for the normal perspiration of armpits of sensitive skins of the whole family. Its sudo-regulator complex from natural origin contains sage having deodorizing properties, horsetail having anti-perspirant properties and bamboo which is a wetness absorber. It acts during 48H. It can be used after waxing or shaving. Aluminium salts free. Alcohol free. No alum stone, white marks & yellow stains. Apply on a tidy skin as often as needed.